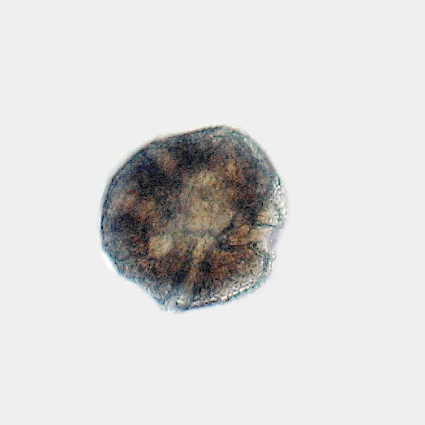 Peridinium is a medium size dinoflagellate. Its body is covered with theca. It has two conspicious groves: sulcus (vertical) and cingulum (horizontal).